Good morning. I hope you had a wonderful week. My son was on Spring Break all week, and my husband and I took some time off as well, but we didn't go away. We had a bit of a staycation, which is unusual for us. We did make it to the Museum of Art in Raleigh, and the Museum of Life and Sciences in Durham, as well as strawberry picking for the first time this season. It was a nice week. I didn't read much, though. I had thought I'd read a lot since I wasn't working, but with the whole family home, I ended up spending time with them and doing things rather than reading. I did start reading These Dark Things by Jan Merete Weiss. This was a NetGalley book, but after reading about 55 pages, I realized it just is not my style. So I let the publisher know I'm not going to review that one. I moved on to Hotel Angeline. As I explained last week, this is a book that was written by a group of 36 writers who got together for a week and wrote the novel collaboratively, live on a stage. I will say it's quite obvious this is the case when reading the book, but it still is quite interesting. I plan to finish and review it this week. I also finally finished Aliens on Vacation by Clete Smith. I had been reading it with my son, but he seemed to lose interest (in favor of his Diary of a Wimpy Kid books) so I finished it up myself. I'll put up a review this week, but overall, I liked it and think it would be a fun series for older elementary or younger middle school kids. For reviews, I put up a review of Moonwalking with Einstein by Josh Foer. I also reviewed some children's books for Earth Day. 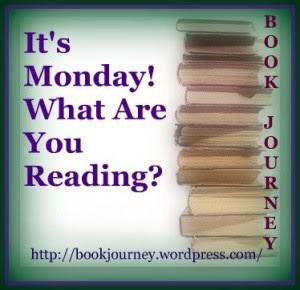 This week, I'm participating in the week-long Spring's Serenity Read-a-Thon hosted by The True Book Addict. You can sign up any time, so check it out! I'm hosting a mini-challenge for the read-a-thon as well. I'm still reading Hotel Angeline. I'm going to pick up Pharos Objective by David Sakmyster next. And after that, I'll probably turn to Blood Trust by Eric Van Lustbader. Hotel Angeline seems to be built on an interesting premise - I'll be interested in your final opinion of it. There are some books that I start with my Bebe Boy James that have been put aside by him in favor of his Diary of a Wimpy Kid (and now Nate ... Big Nate?) books as well, but he tends to be a spastic reader, with quite a few going on at the same time! Enjoy your reading week!